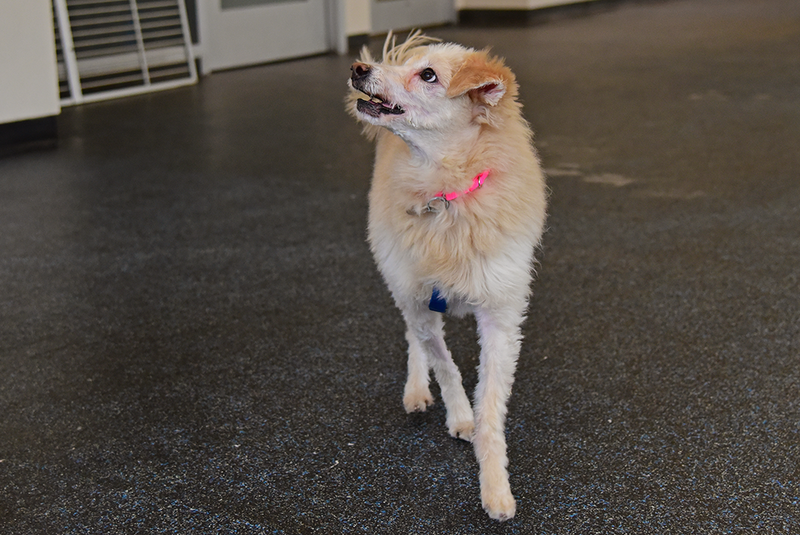 If there was an award for “sweetest dog ever,” there’s no doubt it would go to Maxamillion! This guy falls in love with everyone he meets, and he’s great at making everyone fall in love with him, too. 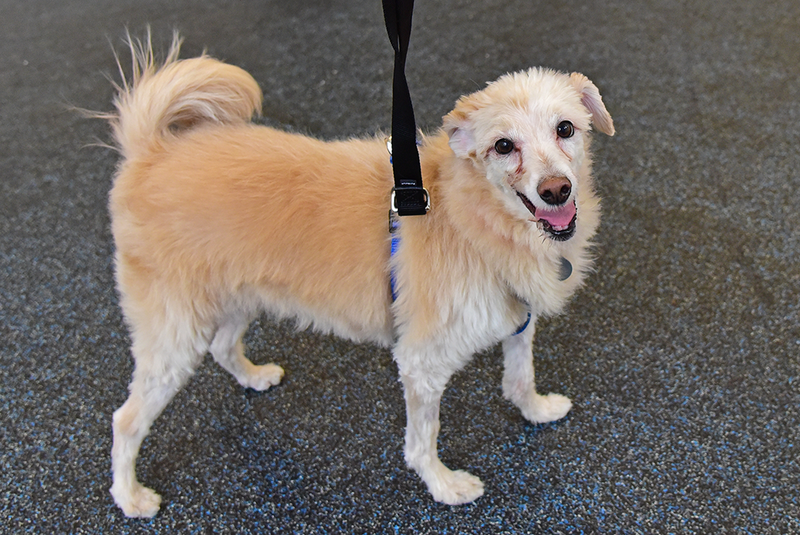 The perfect balance between fun and cuddly, Maxamillion is looking for a home where he can let both sides of his personality shine. He checks every box, so if you’re in need of some major love from one good boy, you have to meet Maxamillion! Big fan of: People! Maxamillion is a cuddle bug through and through. He loves getting up close and personal with his friends and will run right over as soon as you enter the room! 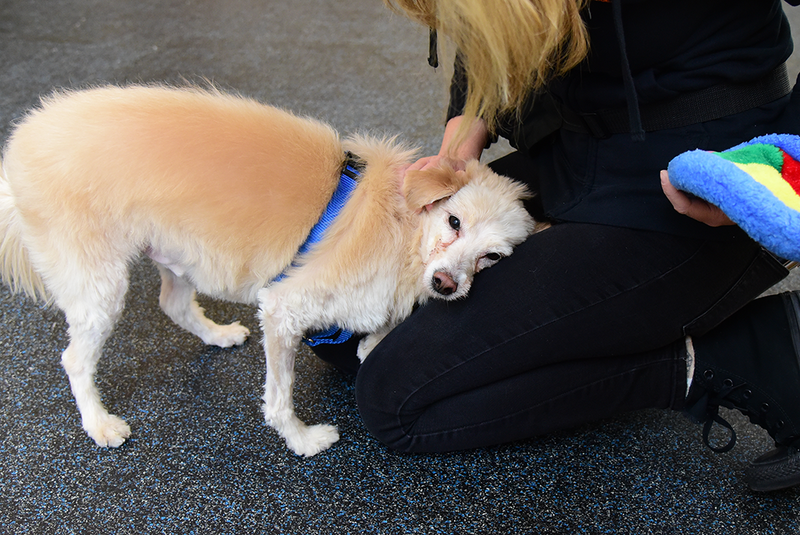 Whether it’s gently climbing up into your lap or getting comfy with his head rested on your thigh, Maxamillion is never one to turn down quality time with his favorite humans. And it’s not just the cuddles he loves—it’s the pets, too! Maxamillion has no problem taking all the scratches you’re willing to give. Don’t be surprised when he keeps nudging your hands for more! Special features: With age comes knowledge, and Maxamillion has a whole ton of it! He’s already trained to use wee wee pads and is working hard on learning more tricks and manners, including remembering not to bark at other dogs on the street. He sometimes gets a little too excited around other pups and should meet all potential canine friends one-on-one first. Dream home: Maxamillion would like an adopter with some dog experience who is open to receiving plenty of love and cuddles! He can live with children ages 10 and up.